1.4 Go Check it Out! A safe, comfortable, and stable portable car seat will give you a peace of mind and confidence when you’re traveling on the road with your child. 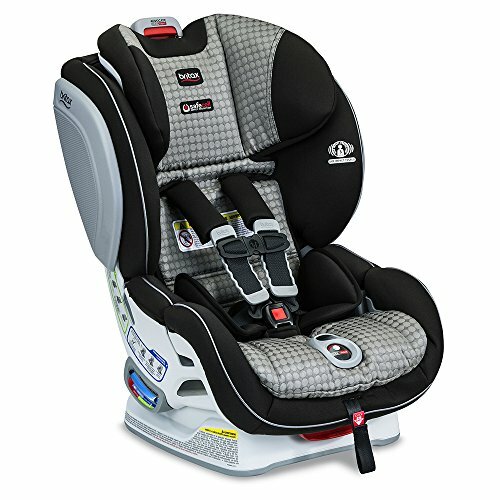 So to help you with your goal of ensuring that your child will be as safe as he or she can possibly be while in the vehicle, I’ve decided to put together this helpful list which features 4 different portable car seats for travelthat ticks all the right boxes—from safety to comfiness factor. This is a pretty slick lightweight car seat for travel (weighs about 18 pounds or so). It’s called Go “3-in-1” because it can cover 3 stages of your child’s growth via 3 different positions. For newborns to toddlers weighing from 5 to 40 pounds, you’ll be using the rear-facing position, then there’s the forward-facing position which works well for a child weighing up to 65 pounds, and finally, the belt-positioning booster mode for a child who weighs no more than 100 pounds. A thoroughly comfortable car seat, the Go 3-in-1 is generously furnished with a good amount of removable plush, soft padding. Unlike some travel toddler car seats out there, the padding on the Go 3-in-1 is totally trouble-free to take off and you can simply toss it into your washer. The height of the headrest can be adjusted which is nice, plus the headrest itself is cozy and seems to do a good job at comfortably holding a child’s head in position. On each side of the seat, you’ll find a strap holder and these holders are mega convenient because it makes the process of seating in and removing your child a whole lot less annoying. No more pesky straps getting in the way! Of course, those straps are awesome when they are not in the way. They, after all, keep the child secure and protected in the seat. Indeed, the quality of the straps found on the Go 3-in-1 is awesome. They are very durable, though a bit hard to tighten at times. Also, the seat offers only 3 recline positions so the fitting flexibility is not that great. Although lacking in frills compared to other models, the Go 3-in-1 is still a very decent travel booster car seat and most certainly deserves a solid ‘A’ rating. With its numerous recline and harness positions, hard-rock sturdiness, supreme safety-oriented design, and fairly simple installation, this is without a doubt, one of the best convertible car seats for travel. The Marathon Clicktight’s fitting flexibility is fantastic because it can be reclined in 7 positions, which means a good assortment of vehicle seats can accommodate it. 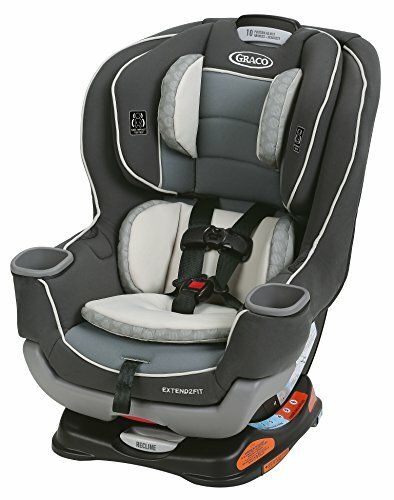 On top of that, the seat has over a dozen harness position adjustments so when your child grows, there’s no need to spend your hard-earned dough on a new portable car seat for travel. That said, you’ll need to buy a new one if your child grows beyond the suggested weight limit of 65 pounds. Minimum weight limit is 5 pounds by the way. All those adjustments are easy to work with and the Clicktight installation feature is excellent. Only a single click and your child will be fully secured in the seat with just the right amount of tightness. The durability factor of this seat is truly impressive, with outstanding protection all around. Both sides of the seat are outfitted with side-impact protection, shell-like shields and even the base itself has components for absorbing impact. The stability aspect is impressive as well. Once it’s properly installed, the thing barely moves! Several reviews online assert that the seat is a nightmare to install, but I disagree. It’s actually quite easy to install. Perhaps those reviewers were referring to the rather hefty weight of the Marathon ClickTight seat, which makes the installation process difficult for them? That may be the case since the seat weighs close to 30 pounds. But if you can handle the weight, then the actual process of installing the Marathon ClickTight onto the backseat of a vehicle is indeed easy. The padding on the seat is super comfy, and can also be removed and washed with ease. If there’s one thing to complain about this product, it would be the crotch buckle which I wish was a little easier to unfasten. 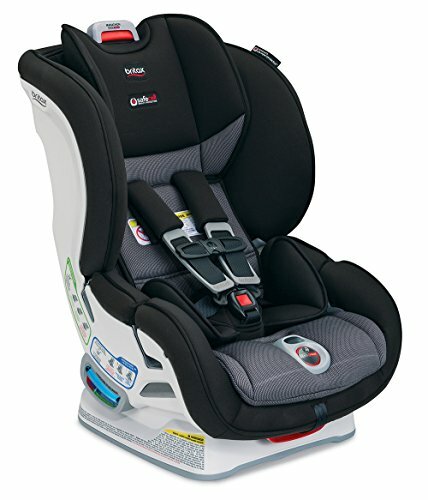 Britax strikes again with another winning convertible car seat! To be regarded as one of the best travel car seats on the market; a particular model must present a satisfying combination of qualities that include first-rate safety and durability, good comfort, ultra-solid stability, along with user-friendly installation and features. Luckily, the Advocate ClickTight has all these qualities firmly in place. Okay, the straps tend to jam up from time to time, and the crotch buckle would’ve been perfect had the length been longer, but aside from these two slight flaws, this convertible car seat is superb. Like the Marathon ClickTight model, the Advocate also has a 14-position harness adjustment feature to accommodate your child’s growth (again, max weight limit is 65 pounds, while the minimum is 5 pounds), and it can be easily adjusted with just a push of a button. Both models seem similar at a glance, but I’d say the Advocate is the winner by a slight margin because it offers additional layers of protection for your child, extra harness height—couple of inches or so, plus a nifty harness indicator feature that lets you know that the harness is sufficiently tight by giving out a clicking sound. Naturally, the Advocate mode has a higher price tag. Installing it onto your vehicle’s seat is basically a picnic thanks to its handy latch system, and the easy-to-be-taken-off-and-washed padded fabric on this seat is just as comfy as the one on the Marathon ClickTight model. There’s no doubting the fact that the Advocate ClickTight is one of the best toddler car seats for travel, so if your budget permits, then you might want to just pull the trigger and get it. The Extend2Fit is a very likeable travel toddler car seat, and it’s pretty clear that a good number of considerations went into making it. In fact, everything about this seat from design and safety standpoint is exemplary. The compact design means it can be fitted into smaller vehicles, and the foot extension feature is easily adjusted so that your child can have some extra legroom. That added legroom is most welcome, because for one, it enables your child to continue sitting in the rear-facing position for a longer period of time, and two, it prevents your child from booting the back of your seat (when forward-facing). Other qualities such the durability, removable and washable padding, ease of installation, stability, safety, comfort level, etc. are simply bang on. So far, the only detriment with this seat is the button responsible for releasing the straps which can be quite unresponsive. What I mean by this is that you have to press it really hard in order to unloose the straps. Talk about annoying! I’m actually a little concerned that the mechanism behind the button might stop working if it’s pressed too hard on a frequent basis. The Extend2Fit portable car seat for travel comes with cup holders and in terms of design, I think they are better than the ones found on the Go 3-in-1 model. A safe, comfortable, and stable portable car seat will give you a peace of mind and confidence when you’re traveling on the road with your child. 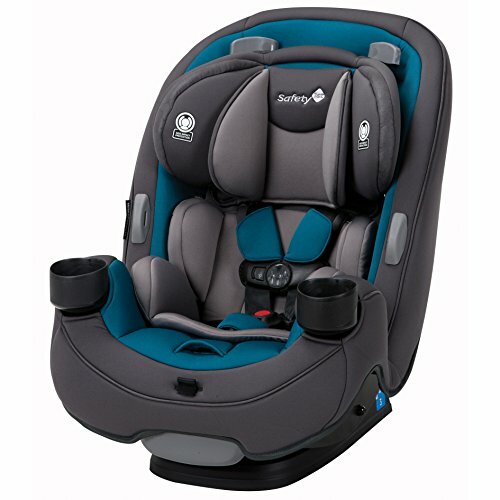 So to help you with your goal of ensuring that your child will be as safe as he or she can possibly be while in the vehicle, I’ve decided to put together this helpful list which features 4 different portable car seats for travel that ticks all the right boxes—from safety to comfiness factor.